A SpaceX rocket carrying a satellite for Facebook exploded on the launchpad on Thursday, September 1st, 2016. NASA’s asteroid-bound spacecraft OSIRIS-REx sat mated to a rocket undergoing final tests when an explosion from neighboring SpaceX launchpad could be felt for miles from Cape Canaveral on Thursday. 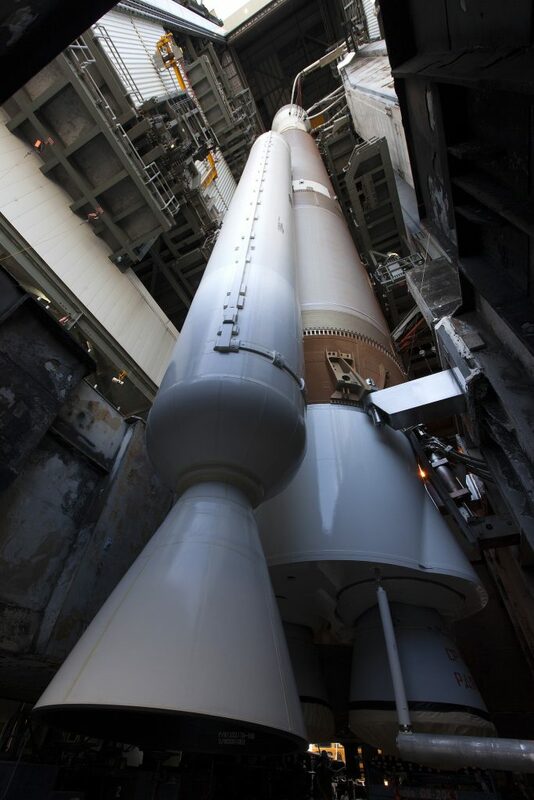 The United Launch Alliance Atlas V rocket underwent final launch preparation testing on Thursday with no problems before the explosion, 1.1 miles away on launchpad 41, according to NASA. "Our personnel were evacuated from SLC41. All are accounted for and unharmed. 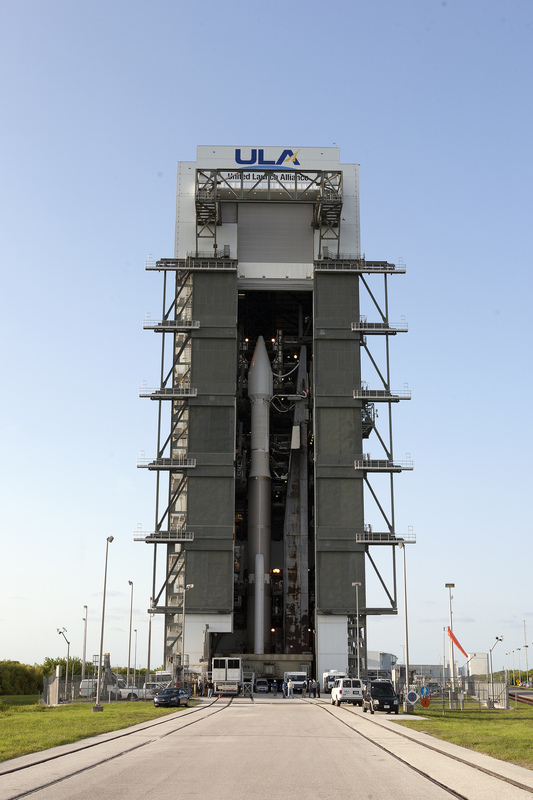 Hope to return later today," tweeted ULA CEO Tory Bruno. Bruno confirmed all staff working during the testing on Atlas V were evacuated after the explosion on the SpaceX launchpad next door. 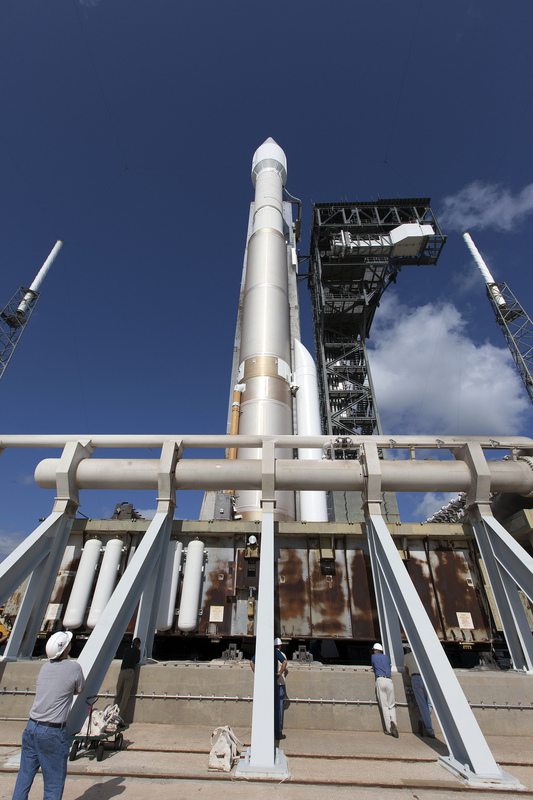 The Atlas V launch will go on as planned, NASA said in a statement after the incident. The ULA rocket and the OSIRIS-REx spacecraft are “healthy and secure” at Space Launch Complex-41, according to the space agency. UCF professors, Dr. Humberto Campins and Dr. Yan Fernandez are part of a team of scientist who will be collecting samples from Asteroid Bennu. The spacecraft launches from the Cape on Sept. 8th. 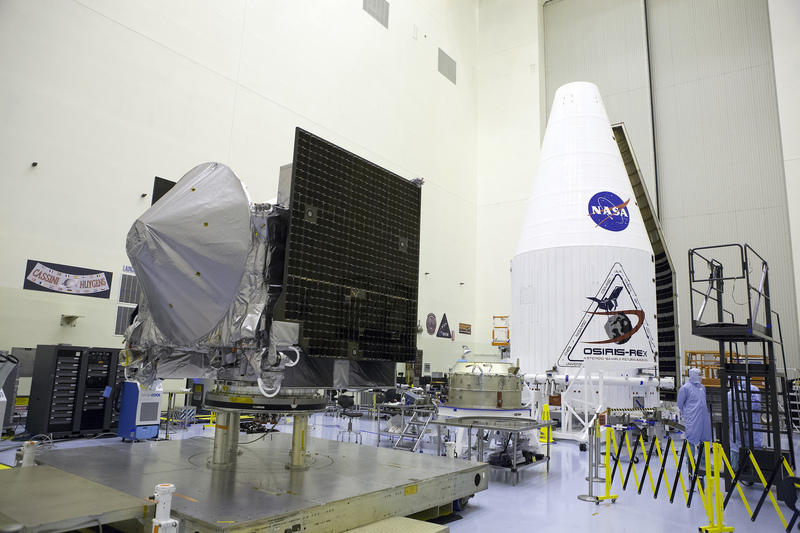 The spacecraft will be the first asteroid sample collection mission for NASA. 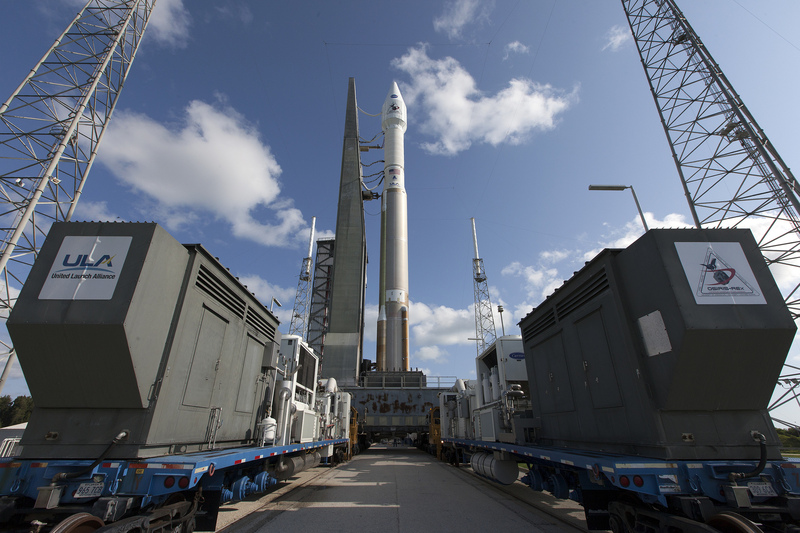 After launch, OSIRIS-REx will travel to near Earth Asteroid Bennu, mapping the space rock and collecting a two ounce sample. The $800 million mission will take seven years to Bennu and back. SpaceX confirmed an explosion during a pre-launch static fire test destroyed the Amos 6 satellite set for launch on Saturday. A SpaceX spokesman said the pad was clear of personnel and there were no injuries. 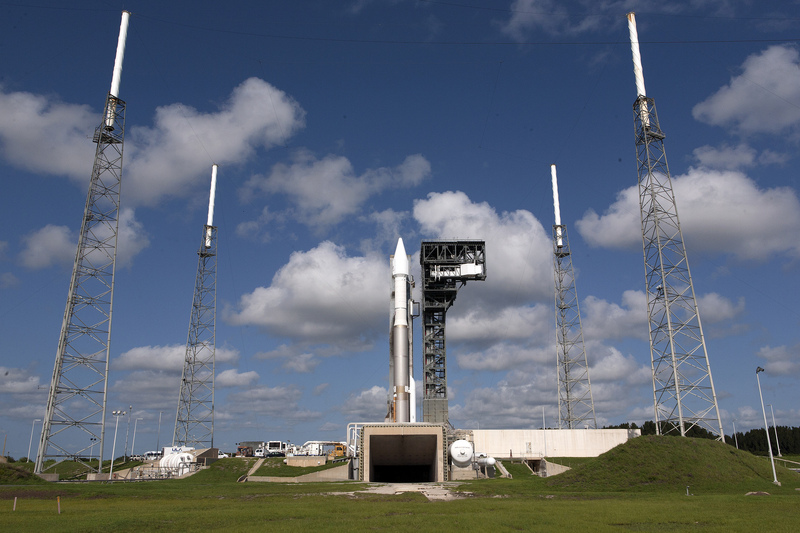 OSIRIS-REx is scheduled to launch on Atlas V on Sept. 8 at 7:05 p.m. 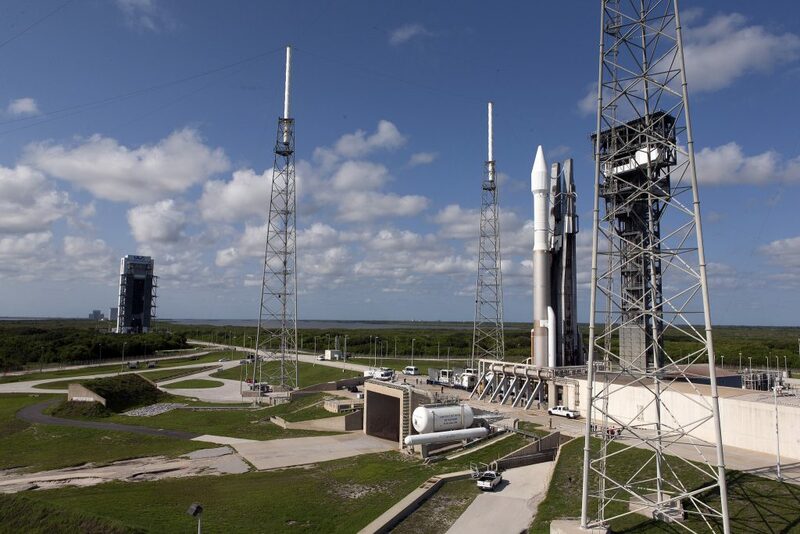 The first U.S. mission to travel to an asteroid, retrieve samples and return them to Earth is targeted for a Sept. 8 launch atop a United Launch Alliance Atlas V rocket from Cape Canaveral Air Force Station in Florida. 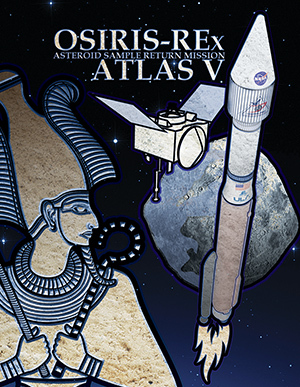 This groundbreaking mission, several years in the making, is the Origins, Spectral Interpretation, Resource Identification, and Security-Regolith Explorer, also known as OSIRIS-REx. 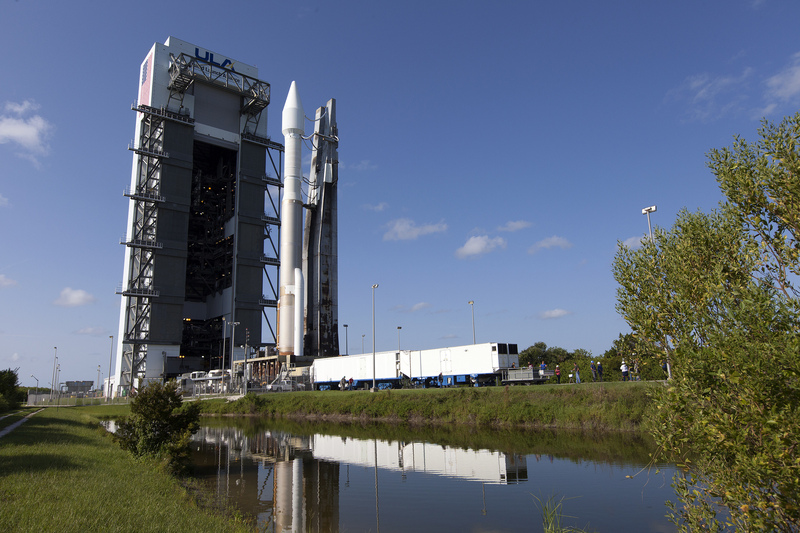 It will travel to near-Earth asteroid Bennu, map its surface using 3-D laser imaging, retrieve samples from the surface and return to Earth. 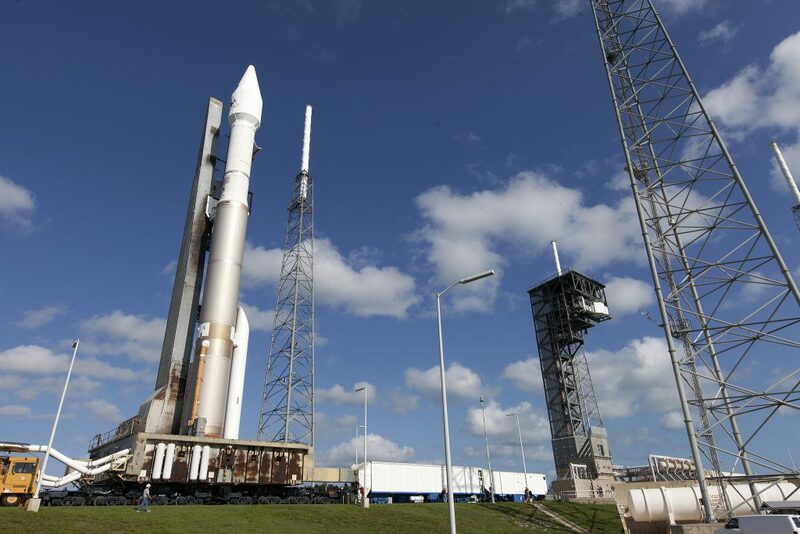 “The OSIRIS-REx mission is a seven-year journey from launch to Earth return,” said Dante Lauretta, principal investigator. He is a professor at the Lunar and Planetary Laboratory at the University of Arizona. The spacecraft will spend the first two years of the mission cruising to asteroid Bennu, arriving in August 2018. The five specialized instruments on OSIRIS-REx will be used to map the asteroid’s surface, identify the minerals and chemicals that may be on the surface, and select the sample site. In July 2020, the spacecraft will briefly touch the surface of the asteroid to collect loose rocks and dust using its Touch-and-Go Sample Acquisition Mechanism, or “TAGSAM,” and store the material in a sample return capsule. The spacecraft will depart the asteroid in March 2021, when the departure window opens, and travel for two-and-a-half years on a trajectory for Earth return in September 2023. As OSIRIS-REx approaches the Earth, the sample return capsule will eject from the spacecraft and land with the help of parachutes at the Utah Test and Training Range, southwest of Salt Lake City. 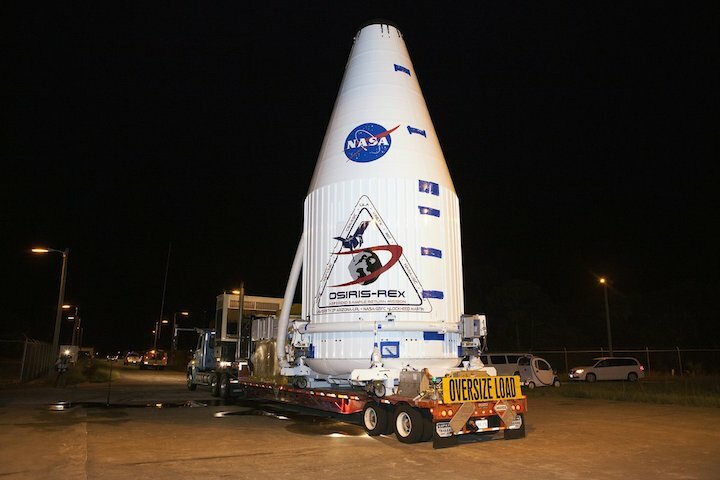 The canister will be retrieved and transported to NASA’s Johnson Space Center in Houston for analysis. The main OSIRIS-REx spacecraft will remain in orbit around the Sun after the sample return and Earth flyby. The mission will lay the groundwork for future exploration of asteroids and other small bodies in the solar system. 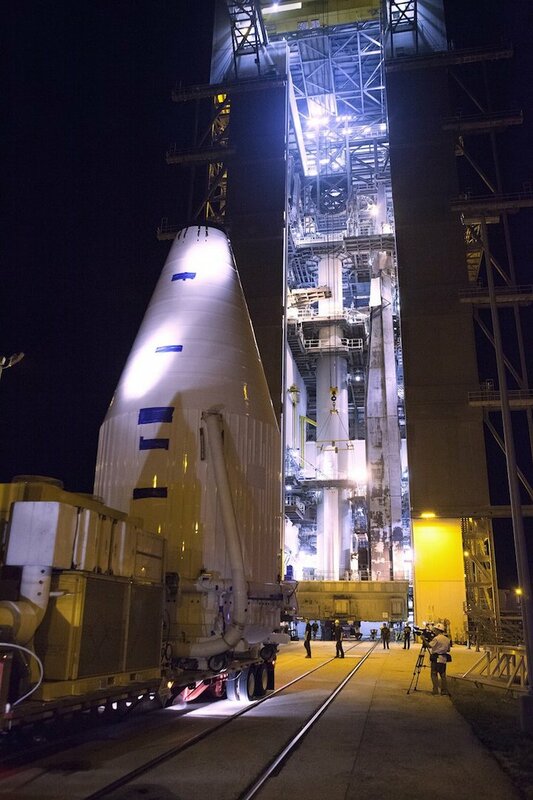 Prior to launch, the appropriate steps are being taken to assure mission success. 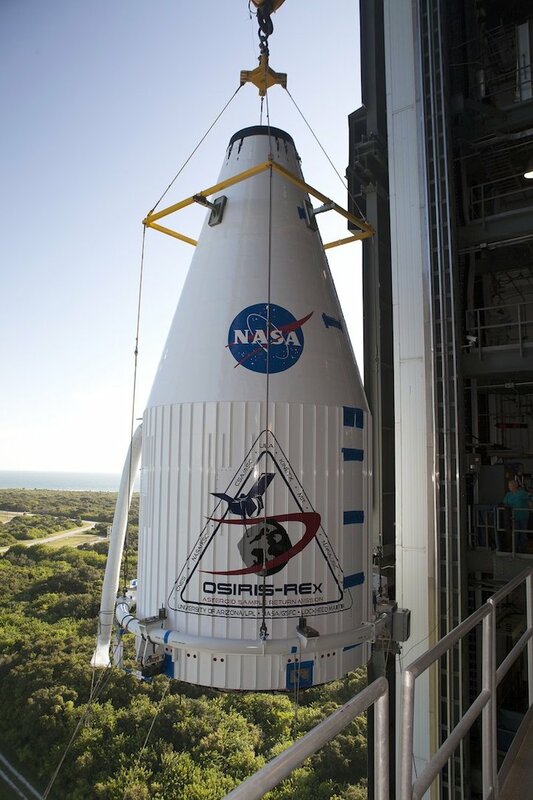 OSIRIS-REx arrived at NASA’s Kennedy Space Center in Florida on May 20 and was transported to the Payload Hazardous Servicing Facility, or PHSF, the same day. Inside the PHSF it was processed and prepared by the spacecraft team for its mission. Technicians and engineers performed illumination tests on the spacecraft solar arrays, tested instrument hardware and communication systems, performed a weight and center of gravity test and installed thermal blankets around the spacecraft to protect it from the extreme temperatures of space. 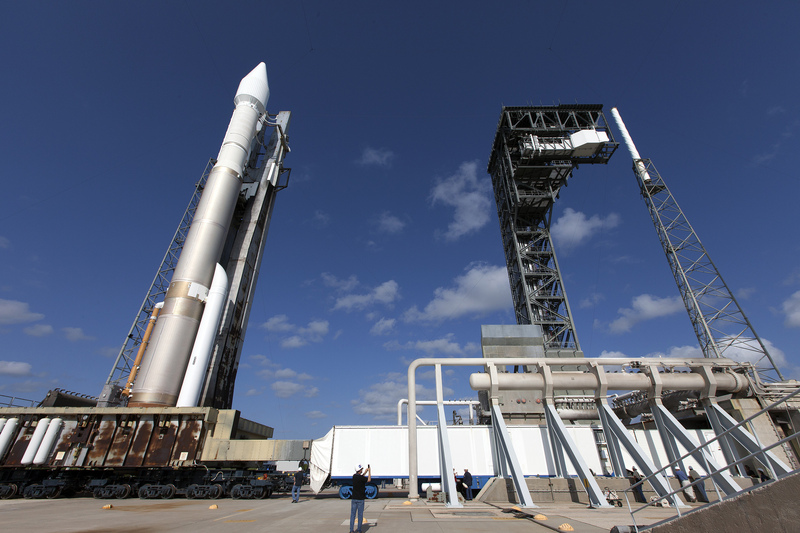 Propellant also was loaded into the spacecraft that will help it to reach Bennu and return to Earth. In the PHSF, the processing team placed sample plates near OSIRIX-REx to collect contamination samples. These samples will be compared with the samples that are returned from the asteroid in order to eliminate any contamination that may have occurred in the PHSF. 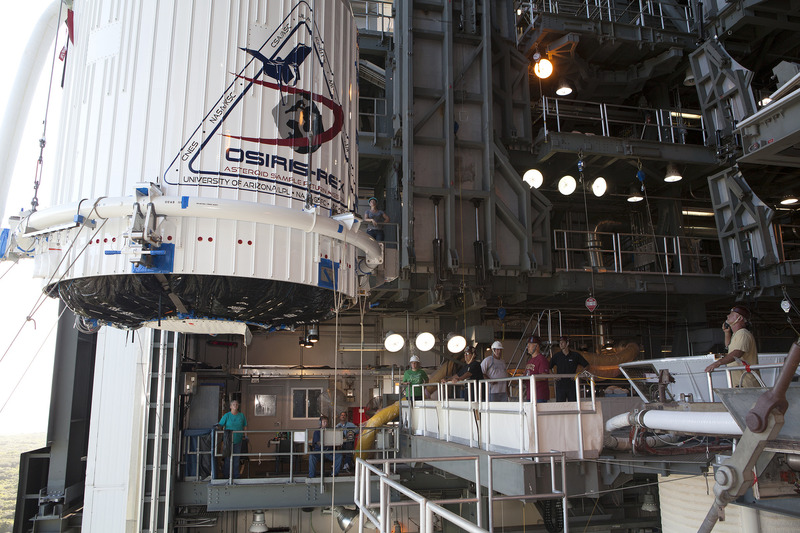 OSIRIS-REx was placed in its payload fairing Aug. 19, and transported to the Vertical Integration Facility at Space Launch Complex 41 for lifting and mating to the rocket Aug. 30. Lauretta said he is honored to lead a program like OSIRIS-REx for NASA and the country. “The team is an amazing group of very talented, dedicated people who are excited about the program and really believe in the mission. I couldn’t be more proud of their accomplishments, and the launch is the culmination of years and years of hard work,” Lauretta said. 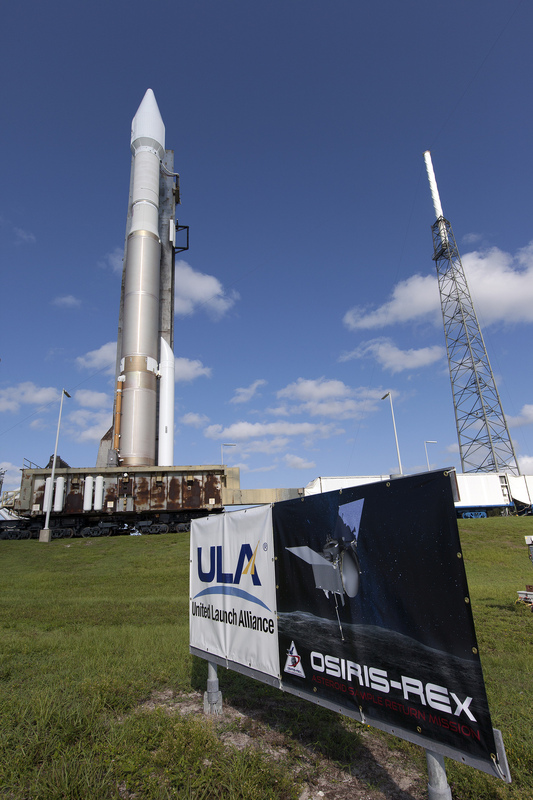 OSIRIS-REx is the third mission in the agency’s New Frontiers Program. 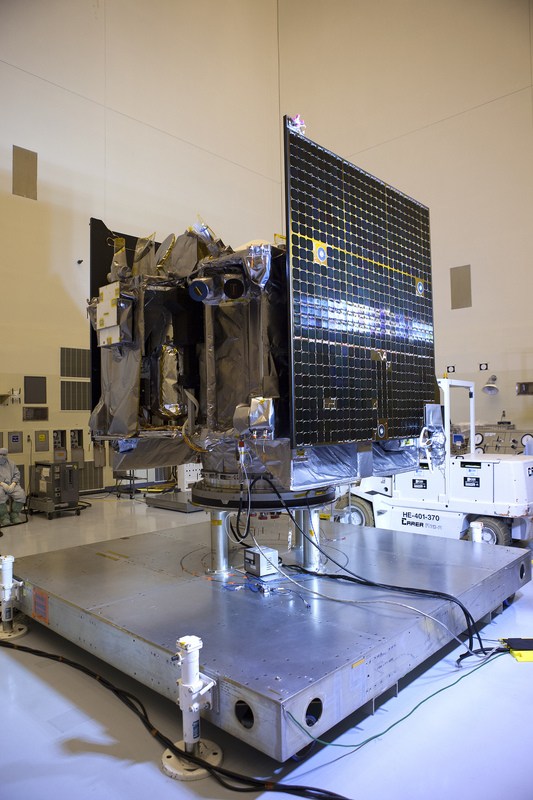 NASA’s Goddard Space Flight Center in Greenbelt, Maryland, is providing overall mission management, systems engineering, and safety and mission assurance for the spacecraft. Lockheed Martin Space Systems in Denver built the spacecraft. NASA’s Marshall Space Flight Center in Huntsville, Alabama, manages New Frontiers for the agency’s Science Mission Directorate in Washington. An artist concept of the OSIRIS-REx spacecraft. Members of the public and the media are invited to celebrate the launch of NASA’s OSIRIS-REx sample return mission to an asteroid, on Thursday, Sept. 8, at 5:30 p.m. This free event will be held at the NASA Goddard Visitor Center in Greenbelt, Maryland, and is open to the public. 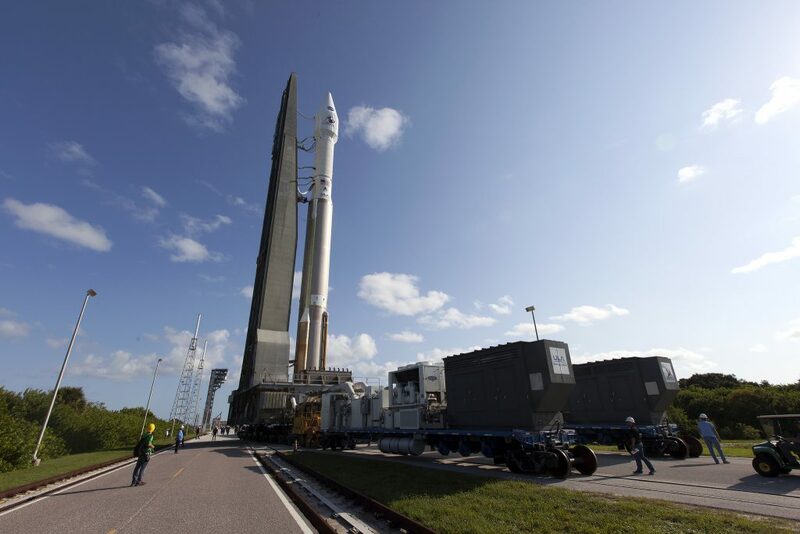 OSIRIS-REx will travel to the near-Earth asteroid Bennu, investigate it in detail, and collect a sample of surface material to return to Earth for study. Scientists expect that Bennu holds clues to the origin of the solar system and the source of the water and organic molecules that may have made their way to Earth. The mission also will investigate how pressure from sunlight influences the path of this traveling asteroid, providing new insight into how the orbits of near-Earth asteroids change over time. The spacecraft is scheduled to launch on Sept. 8 at 7:05 p.m. EDT aboard an Atlas V 411 rocket from the Cape Canaveral Air Force Station in Florida. The celebration at the Goddard Visitor Center will be held from 5:30 to 8:30 p.m. and will include presentations by NASA scientists, viewing of launch coverage on NASA TV, activities and exhibits. Be sure to visit the Astrobiology Walk to put OSIRIS-REx into context with the rest of astrobiology. You can also see the Solarium, an innovative video experience that surrounds you with mesmerizing imagery of the sun from NASA's Solar Dynamics Observatory. And spend time in the Science on a Sphere auditorium to see dramatic, full-motion views of Earth and other planets on a special globe-shaped screen. No registration is needed for the public. Members of the media who want to attend the event should email their name, media affiliation or social media account names to Elizabeth Zubritsky at Elizabeth.A.Zubritsky@nasa.gov by 5 p.m. Sept. 6. 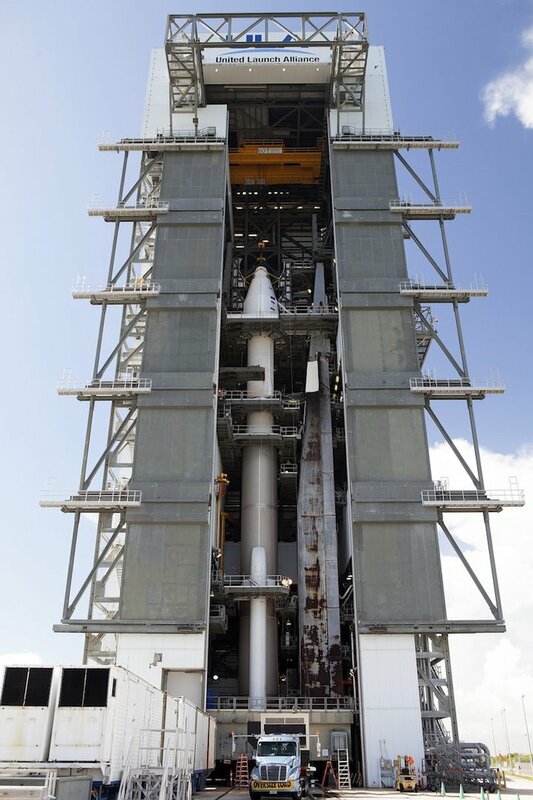 CAPE CANAVERAL — Mission leaders Tuesday gave approval for rollout of the United Launch Alliance Atlas 5 rocket to its pad on Wednesday morning, leading to liftoff Thursday evening of a NASA probe to rendezvous with an asteroid and bring a sample back to Earth. The Launch Readiness Review for the OSIRIS-REx mission handed formal consensus to proceed with the remaining flight preparations based on the progress of work schedules and the lack of any technical issues. 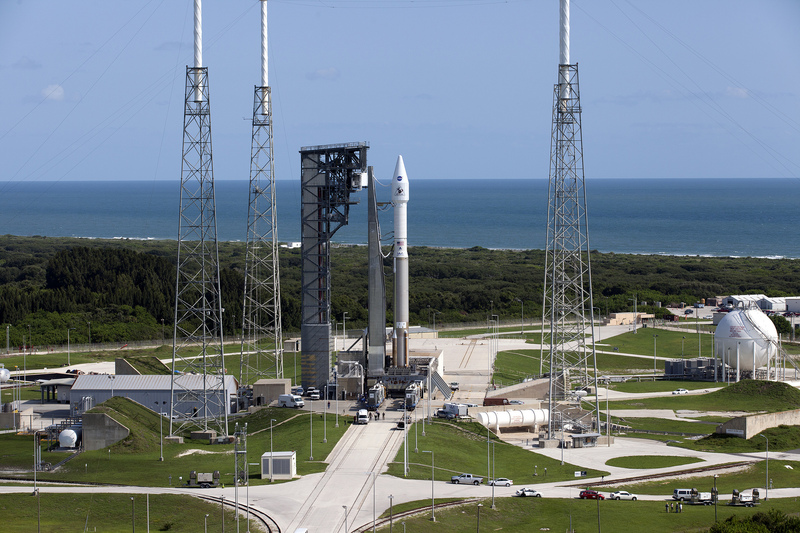 “Just this morning, we conducted the Launch Readiness Review for the OSIRIS-REx mission. 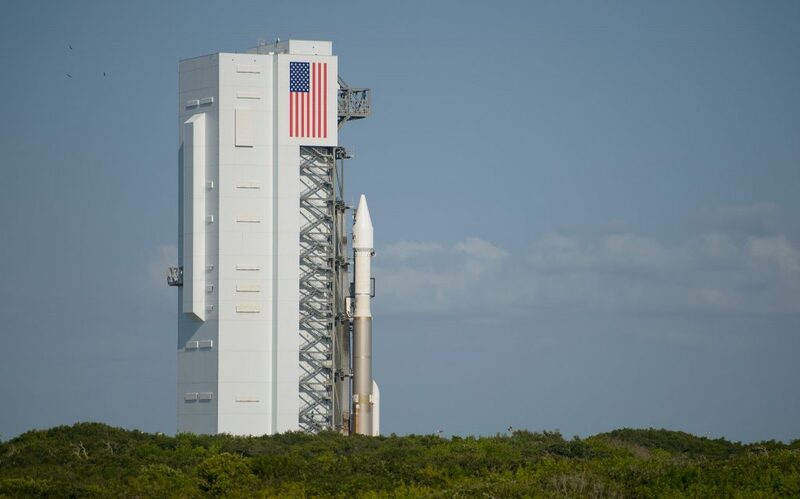 Senior managers from NASA-KSC, Goddard Space Flight Center and Headquarters, as well as ULA and the Air Force, assessed the readiness of the rocket, the spacecraft and Range assets to proceed with launch on Thursday evening,” said Tim Dunn, the NASA launch director. 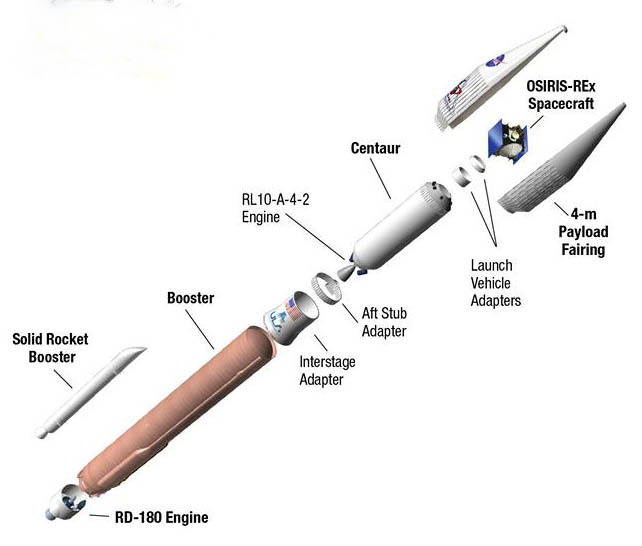 NASA completed an engineering review of hardware similarities between the SpaceX Falcon 9 rocket that suffered a launch pad explosion last week and the ULA Atlas 5 carrying OSIRIS-REx. 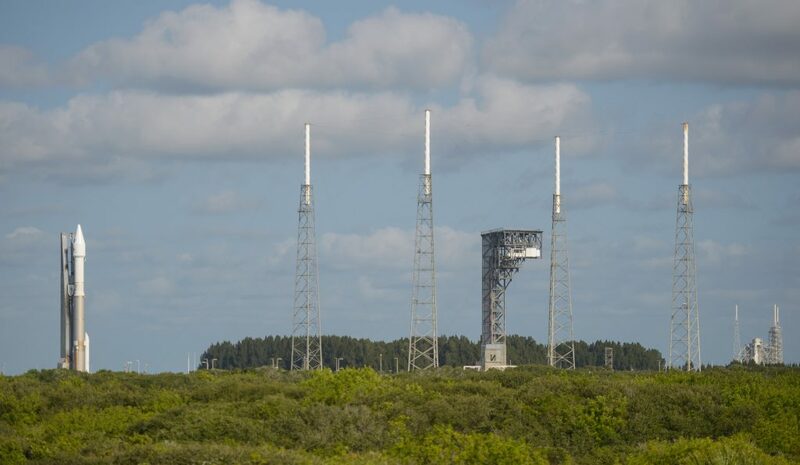 “Our team, led by our chief engineer for (NASA’s Launch Services Program), led a cross-over assessment of launch vehicle hardware from what we were able to observe and know from data from the event on Thursday with Falcon 9 and compared that against the systems of Atlas 5,” Dunn said. 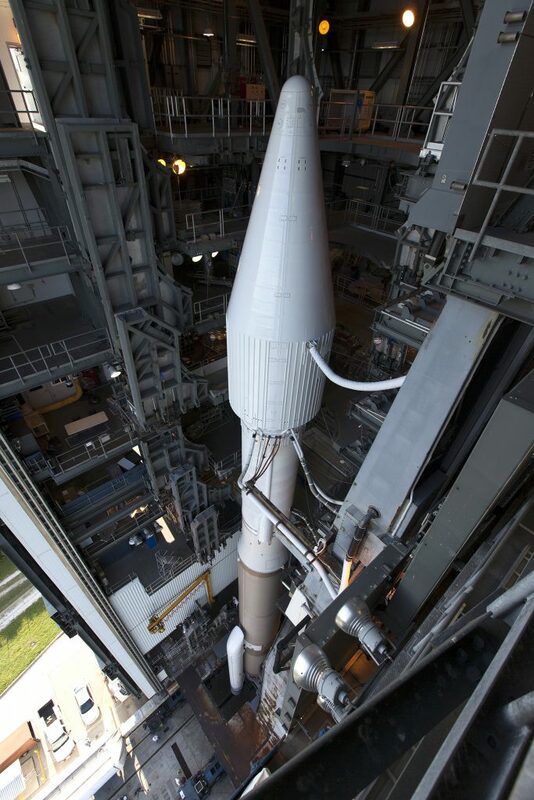 At 9 a.m. EDT on Wednesday, the Atlas 5 rocket aboard its mobile launch platform will be rolled from the assembly building to the pad at Cape Canaveral’s Complex 41. The move, which covers 1,800 feet of rail track, should take about 40 minutes to complete. The seven-hour countdown starts at midday on Thursday. 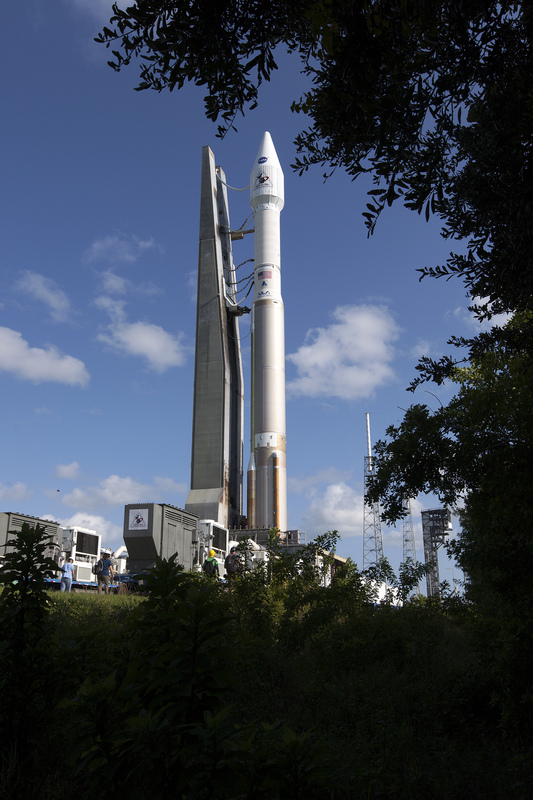 Fueling begins just before 5 p.m. EDT (2100 GMT). 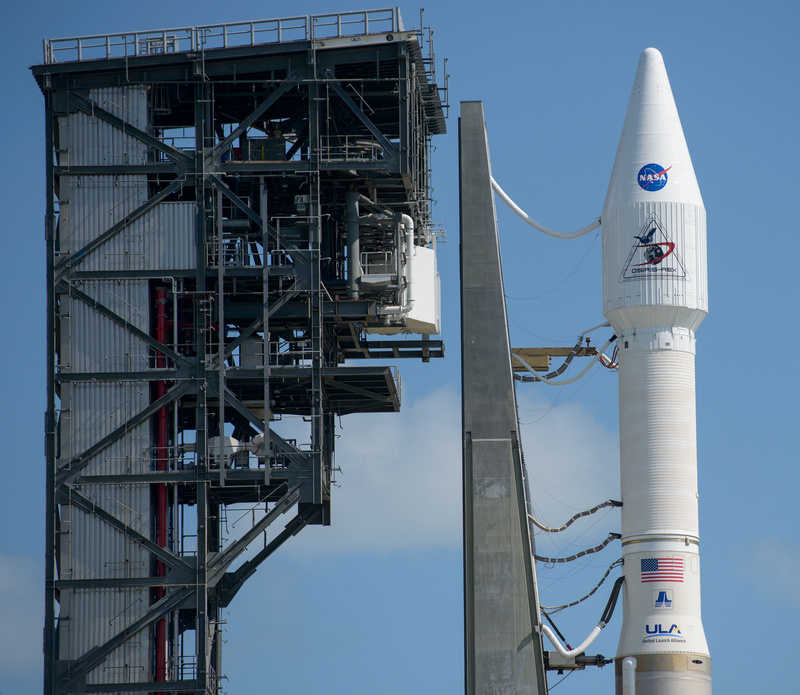 The launch is timed for 7:05 p.m. EDT (2305 GMT) at the opening of a two-hour window that runs to 9:00 p.m. EDT (0100 GMT). Liftoff opportunities will be available every five minutes — 24 shots in all — if there is a delay in the countdown. 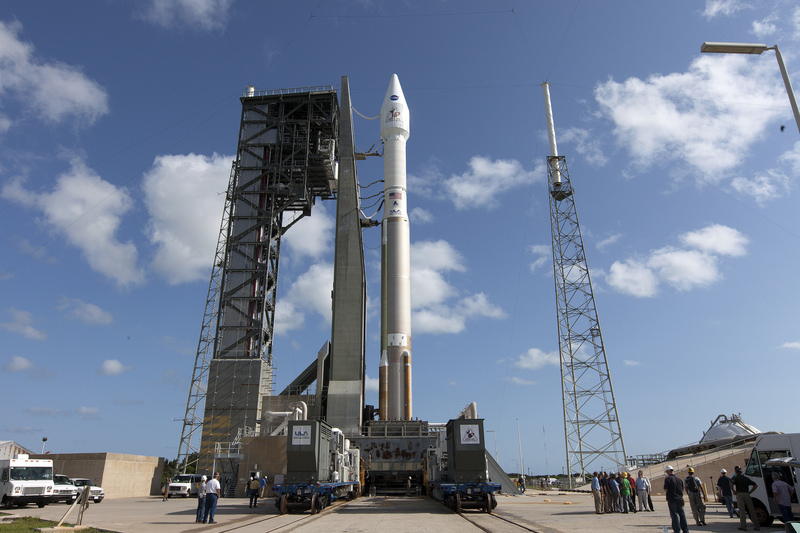 The launch will be the 65th for the Atlas 5. The rocket has performed a dozen missions for NASA to date. “We have successfully launched 12 missions on this rocket. 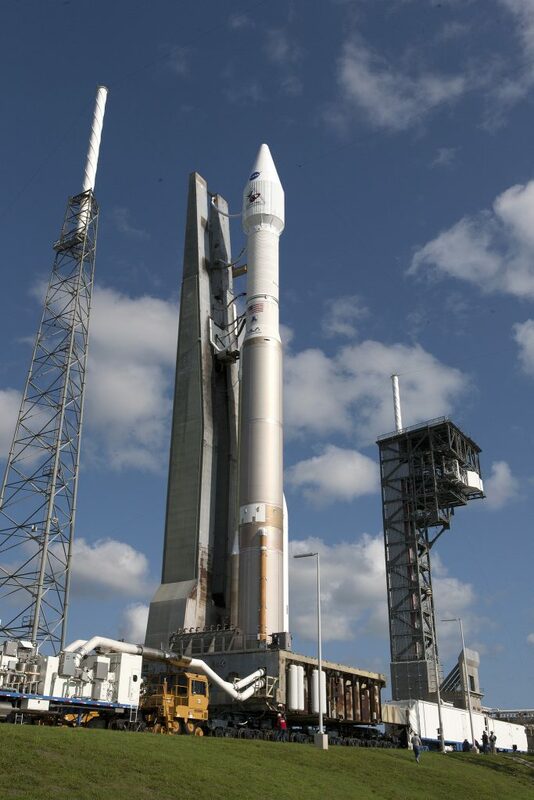 Missions to Pluto, Jupiter, the Moon, the Sun, the radiation belts (and) three spacecraft to Mars,” Dunn said. Weather forecasters are cautiously optimistic, predicting an 80 percent chance of acceptable conditions. Cumulus clouds coming ashore from the ocean is the chief concern. In the latest launch outlook, issued this morning, meteorologists removed their earlier concern for anvil clouds from inland summertime thunderstorms drifting back to the coast at liftoff time. “The seabreeze will develop late morning and migrate inland early afternoon with isolated showers and thunderstorms along the boundary. Afternoon and evening thunderstorms continue to favor the interior with a coastal shower threat during the evening and overnight hours,” Air Force forecasts said. Clouds will be scattered, winds will be easterly at 10 to 15 knots and the temperature at 83 degrees F.
An hour into launch, OSIRIS-REx will be deployed from the Centaur upper stage on its interplanetary trajectory. Deployment of twin solar arrays and establishing contact with controllers will follow over the next few minutes, with a spacecraft state of health check expected via the Canberra tracking station in Australia about 17 minutes into the solo flight. 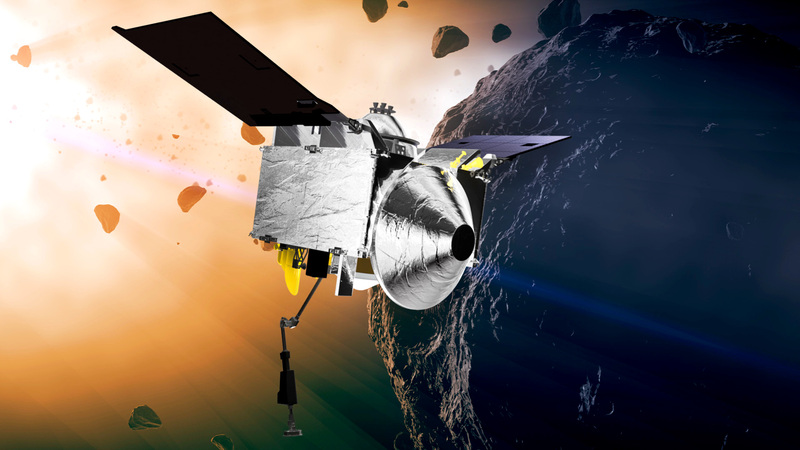 The craft will approach Asteroid Bennu in August 2018 and by October begin more than a year of interrogation with high-resolution cameras, a laser altimeter and spectrometers for mineral and elemental composition maps. In July 2020, the specimen will be collected using a pogo-like robot arm and then placed into a return capsule. “To understand what things were like on the early Earth and in the early solar system, we have to go to objects that still exist in a primordial pristine state that haven’t been perturbed by geology,” said Jason Dworkin, the mission’s project scientist from NASA’s Goddard Space Flight Center. OSIRIS-REx leaves Bennu in March 2021 on a trajectory to intercept Earth two years later, dropping the sample canister in Utah on Sept. 24, 2023. “The most exciting thing about any planetary exploration mission is that you are going to a new world with Bennu,” said Dante Lauretta, OSIRIS-REx principal investigator with the University of Arizona. Those scientific questions include how the solar system formed and works today, look for the potential seeds of life and characterize practical aspects of asteroid research like untapped resources and hazards. “We’re looking at the carbon-rich asteroids, and our target Bennu falls in this category, we believe these hold precious organic molecules that were the precursors of life on our planet,” said Lauretta. Rocket/Payload:A United Launch Alliance Atlas V 411 configuration rocket will launch the Origins, Spectral Interpretation, Resource Identification, Security-Regolith Explorer (OSIRIS-REx) mission for NASA. 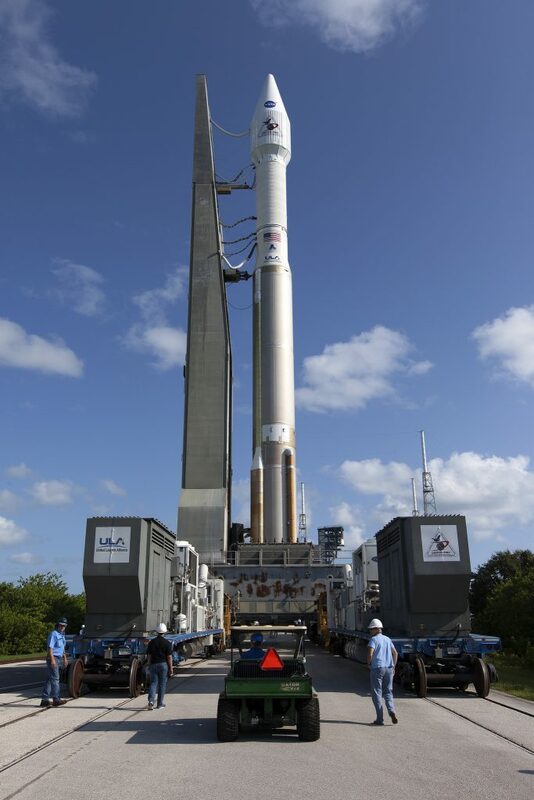 Date/Site/Launch Time:Thursday, Sept. 8, 2016, from Space Launch Complex (SLC)-41 at Cape Canaveral Air Force Station, Florida. 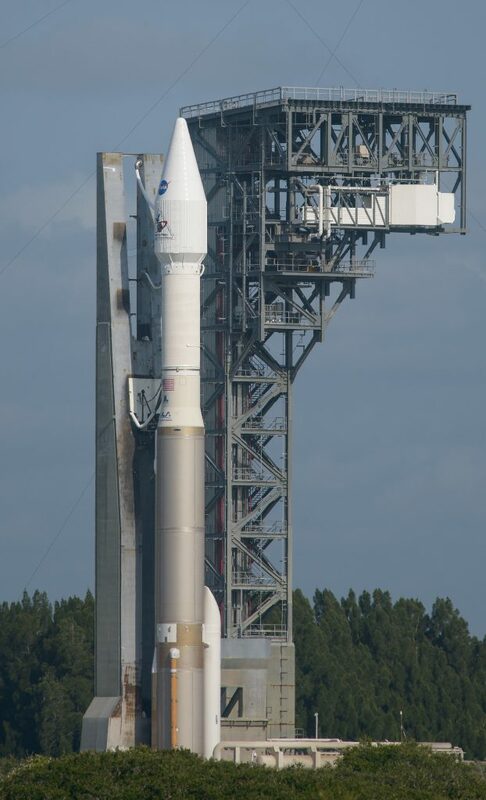 The launch window is 7:05-9 p.m. EDT. Webcast: Live launch coverage will begin at 4:30 p.m. EDT.